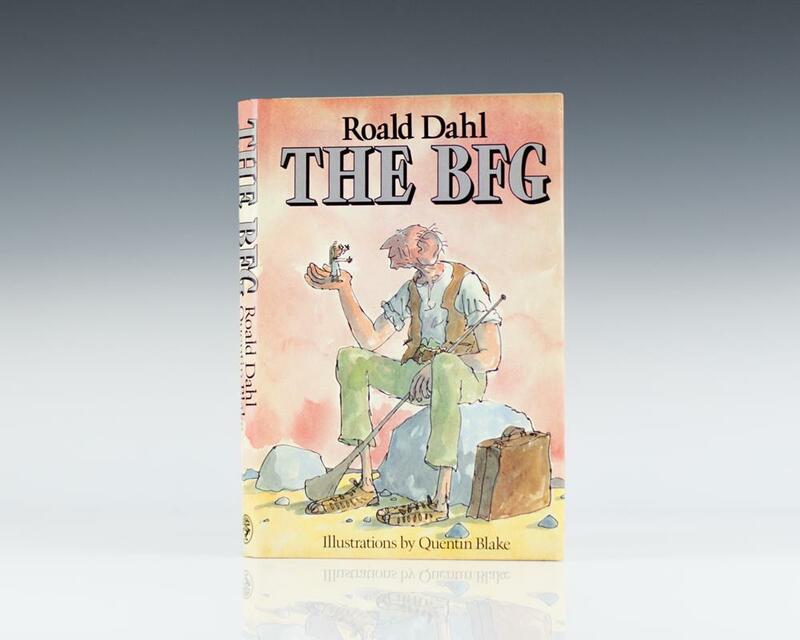 The BFG: Illustrations by Quentin Blake. Dahl, Roald; Illustrated by Quentin Blake. First edition of this Dahl classic, which has sold over 20 million copies. Octavo, original cloth, illustrated. Boldly signed by Roald Dahl on the front free endpaper. Fine in a fine price-clipped dust jacket. Illustrated by Quentin Blake. Roald Dahl is now considered one of the most beloved storytellers of the twentieth century. Dahl's ability to twist words into a clever and creative new language is fascinating to children, and is evident in BFG. The gruesome descriptions of the horrid giants and the subtle allusions to other stories will entertain children young and old. An animated adaptation was released in theatres in 1987 with David Jason providing the voice of the BFG and Amanda Root as the voice of Sophie. It was also the basis for the 2016 film directed and co-produced by Steven Spielberg, written by Melissa Mathison and starring Mark Rylance, Ruby Barnhill, Penelope Wilton, Jemaine Clement, Rebecca Hall, Rafe Spall and Bill Hader. New York: Farrar Straus Giroux, 1982. Signed limited edition of this Dahl classic, which has sold over 20 million copies. Octavo, original cloth. Signed by Roald Dahl and Quentin Blake, the illustrator. Fine in a fine slipcase without wear. One of 300 numbered copies, this is number 55.